When high school football hero Ryan Stiles is found dead at the bottom of a ravine, the only person not consumed by grief is his younger brother. Jonathan has reason to believe his brother’s death was no accident. While everyone around him goes through the many stages of grief, Jonathan can only investigate. The book works as parallel mysteries: On one track are the shady details of Ryan’s death, and on the other are the religious and spiritual questions brought up by his demise. 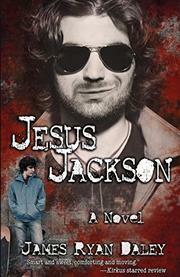 Jonathan’s friend Henry and Ryan’s girlfriend, Tristan, help him solve the murder, while the mysterious “Jesus Jackson” helps Jonathan with his theological needs. Daley’s use of Jesus as a sounding board for Jonathan’s crisis of faith makes for the book’s most surreal and intimate moments. The author argues the necessity of faith regardless of where it is placed, a simple concept that is refreshed when delivered in such an unusual fashion. The book excels, sidestepping holier-than-thou rhetoric and addressing the pain of loss head-on as well as painting a wonderful depiction of a young man coming to terms with how he was raised and how he wants to lead his own life. The mystery element and minor romance are icing on the cake: well-executed and finely tuned, complementing the book’s major themes in all the right ways.